Use these 6 ideas for recycling! Did you know that our seitan is very easy to order online, especially when you use our official Bertyn online shop, Amanvida.eu. It’s simple, easy, and delivered quickly to your doorstep. With just a few clicks you can add our delicious seitan to one of your dishes that very week. Because we recommend that our seitan be kept cool, it is important that it is also transported cool. Many online shops use a thermobox to do this, including our official online shop, Amanvida.eu. When you order your seitan from Amanvida.eu, a thermobox is automatically added to your order. While the thermobox is not free, it is essential so that the freshness of your seitan can be guaranteed and you can get the maximum possible enjoyment from it! There is no deposit on your thermobox and you do not have to return it – it is yours to do with as you please! 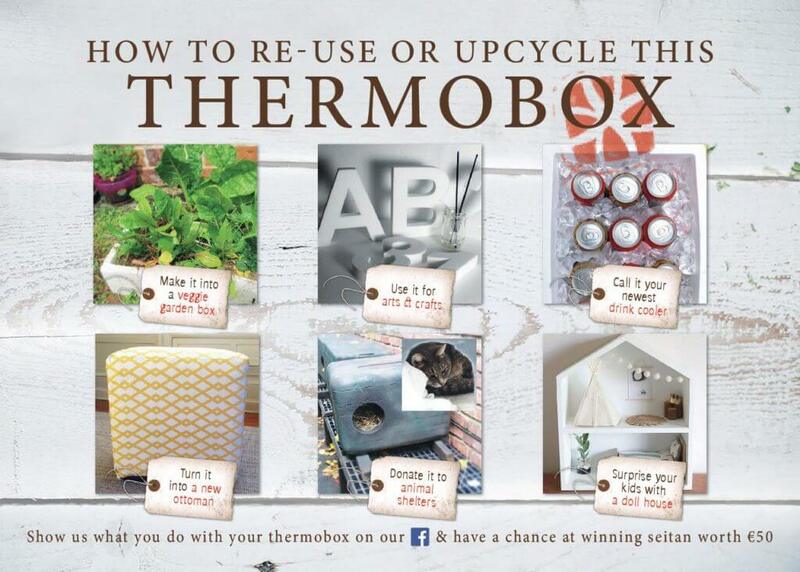 There are many ways your thermobox can be reused and recycled in a fun way. Over the years Amanvida has received many great tips and we have now collected some of the best ideas. Below are just some options. And they’re pretty good, aren’t they?